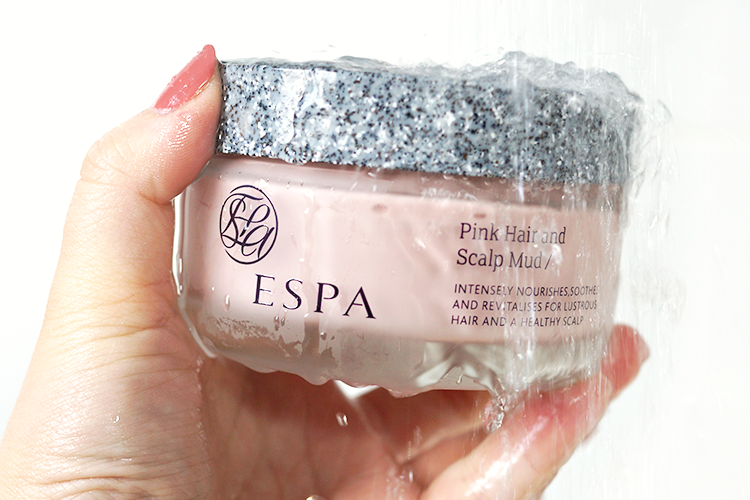 ESPA PINK HAIR AND SCALP MUD. Another post from my Hair Journey series today, and we're focusing on the part that gets, sadly, neglected in most of our haircare routines, the scalp. What an attractive word. I don't know about anyone else but my scalp acts up. Sometimes it's dry and flaky, more often than not it's oily, sometimes it's both oily and flaky. I've been investing some time into researching scalp treatments because an irksome scalp cannot be helping towards my hair shedding situation (I've spoken about Telogen Effluvium here). 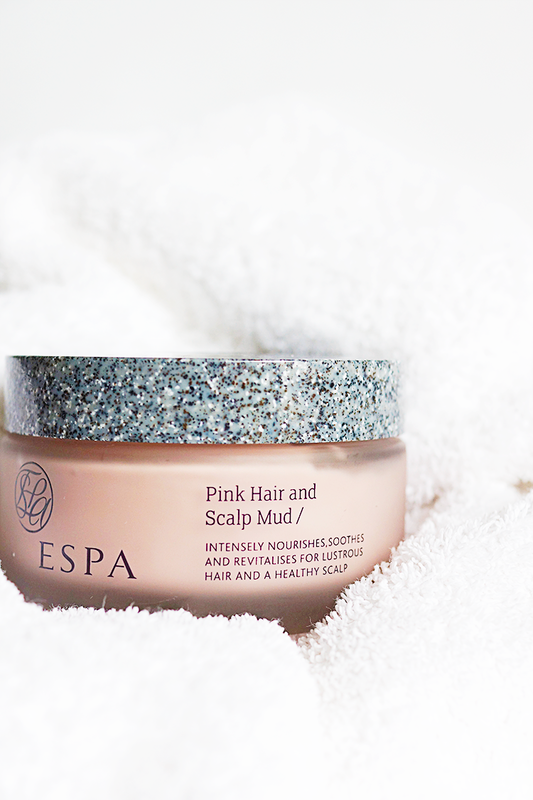 Whilst I was trying out their new shampoo and conditioner (review here), ESPA were kind enough to send me their Pink Hair & Scalp Mud (£32). I of course jumped at the chance, I'm really enamoured with ESPA's all-natural ethos, the ingredients in their shampoo for example are fantastic. As far as aesthetics go, the frosted glass jar with faux-granite top is really weighty and looks quite luxe in your bathroom, I like it. It also comes in a tube, which is a little better value, with 200ml instead of 180ml. If you're particular about scents, I don't think that this will offend you. There's a hint of earthy botanicals about it, but I personally think it's quite subtle. The mask is suitable for all hair types, from unresponsive and dry, to coloured, oily, heat damaged, bleached etc. There are two things I want in a mask; good ingredients and intense conditioning, I don't want namby pamby 'won't weigh your hair down' treatments, I save that for my leave-in conditioner. 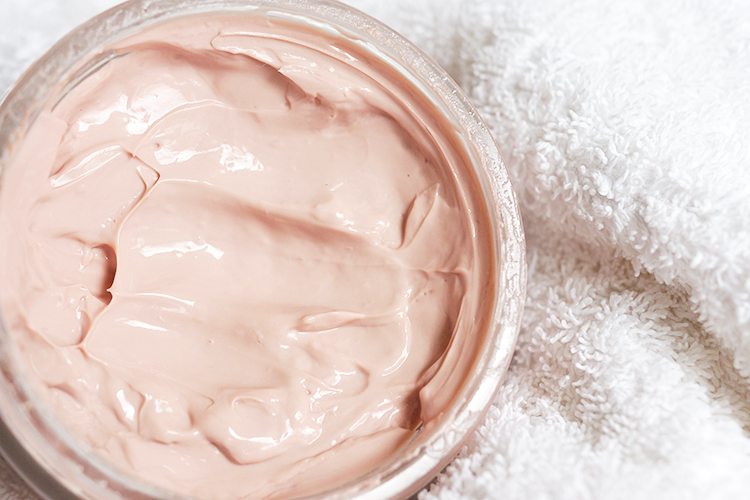 The ESPA mask, rich in castor oil and kaolin clay feels lovely and heavy, coating my hair and scalp in a thick, pink goop. You're welcome to use this all throughout the lengths and ends of your hair but I've been concentrating it on my scalp, dampening my hair first, and spreading a thinner layer down my hair as I feel the clays are going to be most beneficial in contact with my skin (if you're a science buff, go research how clays work to remove toxins, it's really interesting!). The recommendation is to leave it on no less than 20 minutes although you can use it overnight. I think overnight is a problem. I've been using the mask a couple of weeks now and it dries out after 1.5-2 hours on your head if you don't keep it damp, which is obviously a problem as the clay needs moisture to have any ionic effect and the oils aren't able to permeate the hair shaft if they're solid. 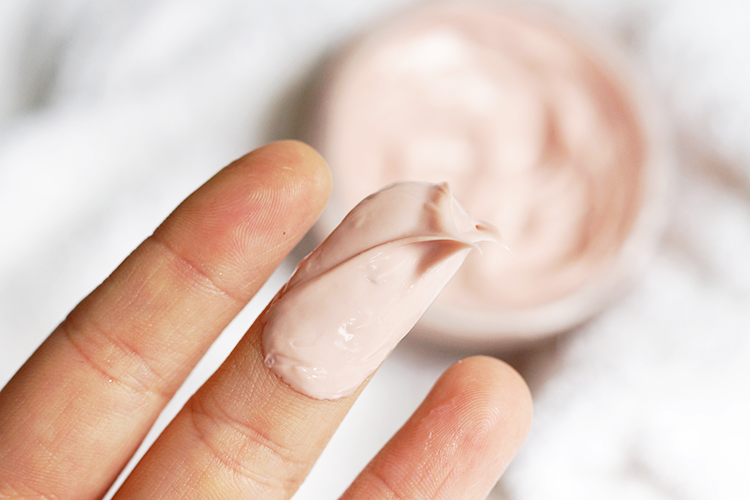 If you're able to, spreading a little water over your head, remassaging and popping on a shower cap or wrapping in cling periodically is the best way to get around this, otherwise leave it on for under an hour. I had high hopes after the shampoo and conditioner and I must say this makes your hair feel wonderful. 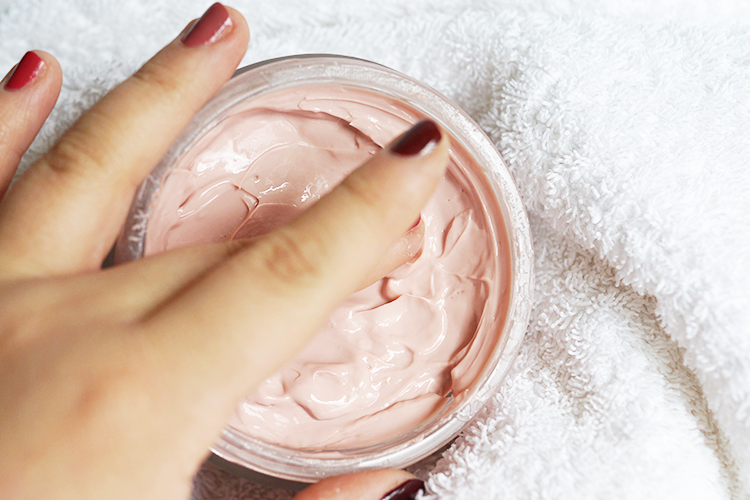 I'm a huge advocate of castor oil, it's one of my favourite beauty ingredients, and, as the second ingredient in the mask, it gives such a nourishing boost of moisture and hydration, my hair is a lot smoother and less frizzy; essential if you're no-heat like I am. My scalp isn't fully restored but it's early days, I'm definitely going to use up the jar and reconsult then. If you've been a lover of the Philip Kingsley Elasticizer, then you might want to give this a try. Yes it doesn't have the hydrolyzed elastin of P.Kingsley but I think they're a similar concept; both being a pre-shampoo treatment rich in castor oil, although the ESPA mask has the additional benefits of botanical extracts, it's natural, paraben-free and it doesn't test on animals, I can't find anywhere on the packaging to say that Philip Kingsley don't. I've been seriously impressed by ESPA products, I've already got a few more bits on order. If a scalp/hair mask isn't really up your strasse then I'd highly recommend checking out some of their other products, at either their website or John Lewis, I know their body oils are good, and they do spray toners so I'll be all over that. Have you tried any ESPA products? This looks fantastic! I've used scalp products from L'Oreal & Kerastase, but would love to give this a go too!